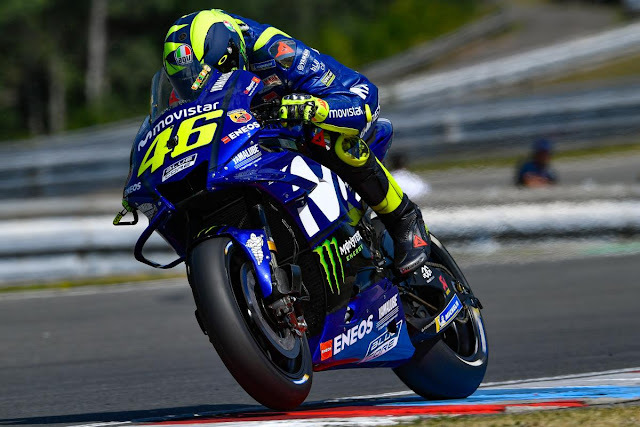 Valentino Rossi (Movistar Yamaha MotoGP) left it late to storm to the top of the timesheets in FP3 at the Monster Energy Grand Prix České republiky with a 1:55.175, beating second fastest Danilo Petrucci (Alma Pramac Racing) by 0.086 and third place Jorge Lorenzo (Ducati Team) by 0.151 – but teammate Maverick Viñales misses out on an automatic Q2 place by 0.055 seconds in P11. Safely into Q2 though was Championship leader Marc Marquez (Repsol Honda Team) after the Spaniard finished fourth quickest, his 1:55.458 was 0.283 off Rossi’s time, with Andrea Iannone (Team Ecstar Suzuki) 0.041 behind the number 93 in fifth – a solid session for the Italian who was outside the top ten after Friday’s Free Practice. Friday’s leader Dani Pedrosa (Repsol Honda Team) briefly dropped outside the all-important top ten, but in the end the Spaniard had no trouble in FP3, finishing P6. Despite a late crash at Turn 3, Cal Crutchlow (LCR Honda Castrol) ended the session P7, with FP1 leader Johann Zarco (Monster Yamaha Tech 3) just 0.011 behind the Brit in the eighth. Reale Avintia Racing’s Tito Rabat impressed on Saturday morning to grab an automatic Q2 spot in P9, with Andrea Dovizioso (Ducati Team) grabbing P10 by the skin of his teeth as the checkered flag was waved. 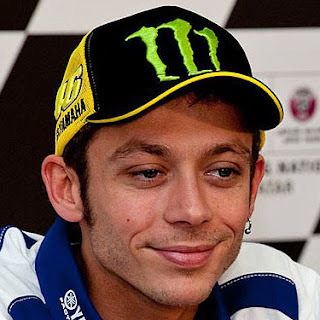 Takaaki Nakagami (LCR Honda Idemitsu) was the first rider to crash in the premier class at the Czech GP after going down at Turn 7 – rider ok. Hafizh Syahrin (Monster Yamaha Tech 3) also crashed late in the session at Turn 13, ending his assault on the top ten – the Malaysian was 16th after ending Friday 4th quickest. Less than a second covers the top 17 in the MotoGP™ class as qualifying appears on the horizion, who will soar to pole at Brno? Find out as Q1 gets underway at 14:10 local time (GMT +2), with Q2 kicking off at 14:35 local time.